There can be all kinds of situations that come up in your life where having a good lawyer on your side can make a big difference to you. 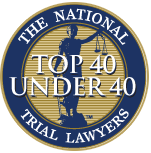 While most people may not give much consideration to knowing a quality attorney that they can turn to in a time of need, it is always a good idea to know of a good law office that you can trust to assist you in difficult times. Dealing with personal injuries and accidents all on your own can be quite challenging for you and you may find that without proper representation you are unable to get the type of compensation you need and are entitled to. That is why it is good for you to know that Belal Hamideh Law can do a number of things for you to assist you at this time of trouble. Whether you have been involved in a workplace accident, and automobile accident, medical malpractice, slip and fall or any other type of incident that leads to injuries, you may not know just where to turn to get help, specifically when the accident has been caused by the negligence of another party. All of a sudden you may be dealing with mountains of medical bills and invoices, repair bills for your vehicle and you may find yourself missing work or unable to work because of the injuries you suffered. Having the right law firm on your side at this time can help you to sort out all of the details and have someone to represent you properly to help you get payment for all of these expenses. 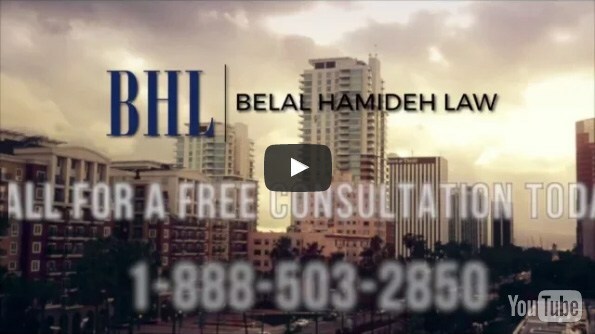 When you turn to Belal Hamideh Law for assistance, you will work with a law office that has extensive experience in dealing with personal injury and accident cases. They have a very high success rate of getting settlements for their clients that provide them with the compensation needed to take care of any and all medical expenses, compensation for lost wages and money for any medical treatment that you may need in the future. If you have been involved in any type of accident that has resulted in injuries, reach out to Belal Hamideh Law at 888-503-2850. You can arrange for an appointment for a free consultation so that you can discuss your case in a secure and confidential manner and learn about all of the different options available to you so that you can get the help you need.